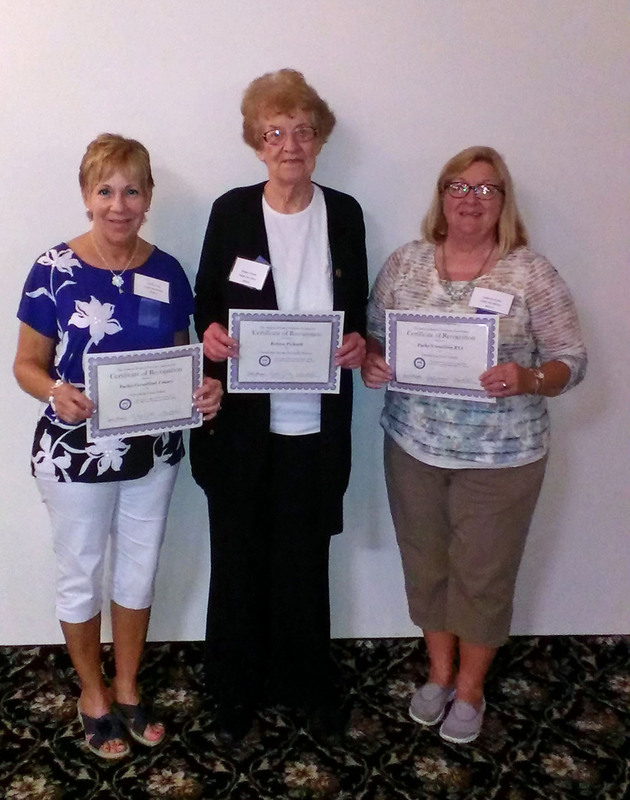 The Indiana Retired Teachers Association recently held its 50 annual Representative Assembly in Indianapolis. Parke-Vermillion RTA had 5 members attend. They were IRTA Area 4 Director Ken Pierce and his wife Susie, President Sandee Frey, Treasurer Roleen Pickard and Secretary Linda Burnette. The PVRTA received three state awards for Area 4 at the meeting. Sandee Frey accepted a Group Project award for our donations to a local food pantry at every meeting. Roleen Pickard received an Honorable Mention Award for her numerous hours of volunteer service. Linda Burnette accepted the award for Outstanding Press Releases. PVRTA President Sandee Frey, Treasurer Roleen Pickard and Secretary Linda Burnette accepted three IRTA awards for our outstanding group project, volunteer hours and press releases. Each year scholarships are awarded to juniors or seniors in an Indiana college or university who are in a program leading to a degree in education. With 10 Areas representing the Indiana Retired Teachers Association, there are 10 scholarships awarded. Boone, Clay, Fountain, Hendricks, Montgomery, Morgan, Parke, Putnam, Vermillion, Vigo, and Warren counties comprise Area 4 for the Indiana Retired Teachers Association. The Area 4 recipient of the IRTA College Scholarship for 2015 is Taylor Vukovits of Rockville, IN. 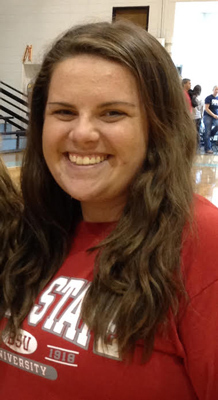 Vukovits is attending Ball State University in Muncie, Indiana, where she studies Elementary Education. At Ball State, she is a member of Phi Mu Fraternity. She has volunteered as a tutor there at the Buley and Huffer Centers. Vukovits has also made the Dean’s List at Ball State. Information about the scholarship, which is available to family members of the Indiana Retired Teachers Association, can be obtained from Tom Mellish, Executive Director, 317-637-7481. Our last scheduled meeting of the 2014-2015 school year was Monday, May 11, 2015. Click here for minutes of that meeting. The PVRTA had an early birthday celebration for our longest living member, Edith Vignocchi of Clinton. 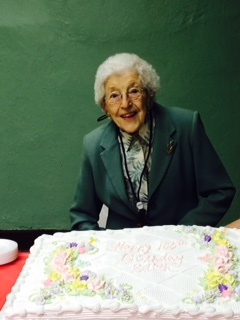 She will be 100 years young on July 8. Edith thanked everyone before we all celebrated with cake and ice cream.